Since purchasing a 500mm lens, I have not had a backpack that it will fit in. I have always had it in either my Airport Commuter or my Airport International bags, both made by Think Tank Photo. The Nikon 500 f/4G VR lens does not come with a bag, but instead it comes with a heavy, large case, so I needed a bag specifically for this lens. 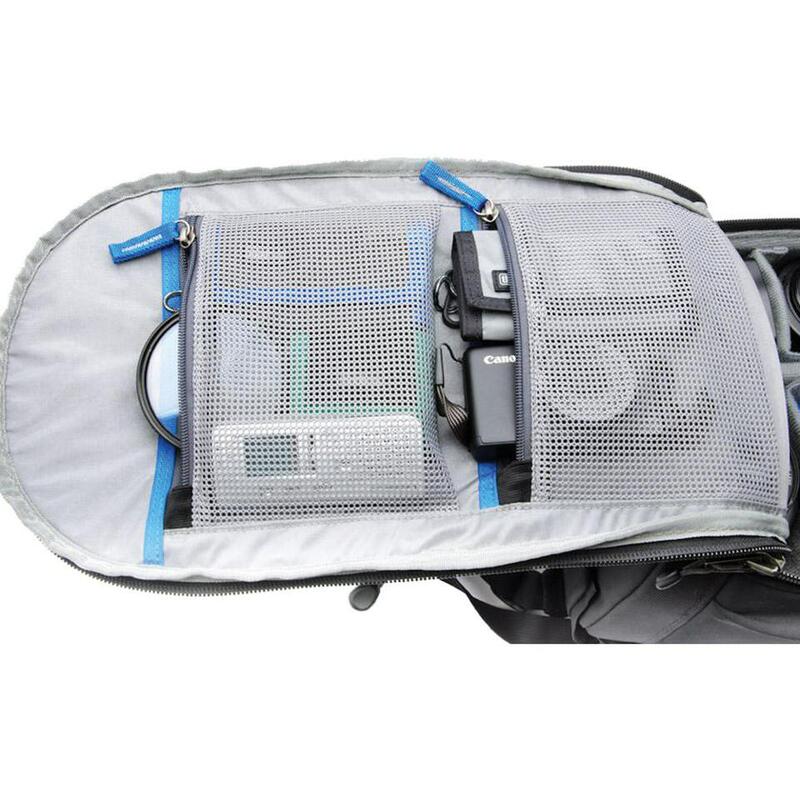 Ultimately, I chose another Think Tank product and in this review we will take a look at the Glass Limo backpack. 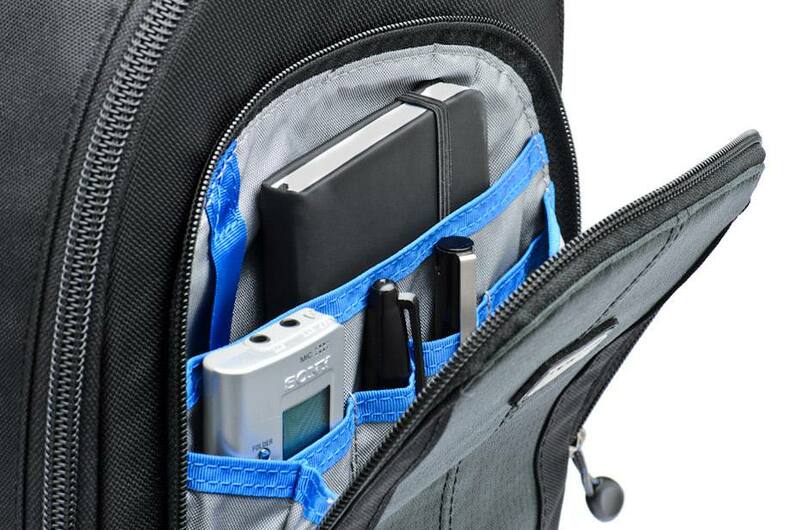 Will we like this backpack as much as we like the other Think Tank reviews? The answer is a mixed bag (pun intended) so read on to find out the good and the bad about the Glass Limo. External: All fabric exterior treated with a DWR coating while fabric underside is coated with PU for superior water resistance, YKK® RC Fuse (abrasion resistant) zippers, 1680 ballistic nylon bottom panel, 600D brushed polyester, 420D velocity nylon, 420D high-density nylon, 250D shadow rip-stop polyester, Ultra Stretch mesh pockets, 3D air mesh, 3-ply bonded nylon thread. Internal: PE board reinforced removable closed cell velex foam dividers, 210D silver-toned nylon, PU backed velex liner, 2x PU coated nylon 210T seam-sealed taffeta rain cover, belly-o mesh pockets, 3-ply bonded nylon thread. This is where the review becomes mixed. While I like the bag overall – the quality, the features and design, there is one glaring problem which is hard to ignore. I got this bag looking forward to using it with the 500mm lens mounted on the D4 body and while I can fit that gear into the bag, it is very tight. One inch in length would have made this bag much, much better. In order to place the camera/lens into the bag, you have to push to make it fit. Taking it out is the same, you have to pull the edge of the bag away from the body to get the camera out. This particular gear combo requires that the hood be reversed and thus the front element is at the edge of the lens with no protection. This means that you have to use the hood cover over the end to protect the front element from dragging against the inside walls/material. I cannot stress enough how I would like one more inch in length on this bag. I tried the new Nikon 800mm f/5.6G VR to see if it would fit and it does with the hood reversed, the hood cover on and no camera attached. If you have a Nikon 300mm f/2.8G VR, this bag is ideal, because you can attach the lens to a pro body AND keep the hood on without reversing it, making this gear combo ready to roll – I LOVE that! So instead of buying the Glass Taxi for a 300mm f/2.8 lens, I would suggest buying the Glass Limo instead. If you are using a 300mm lens or smaller, there is a removable padded collar that is used to stabilize the lens. 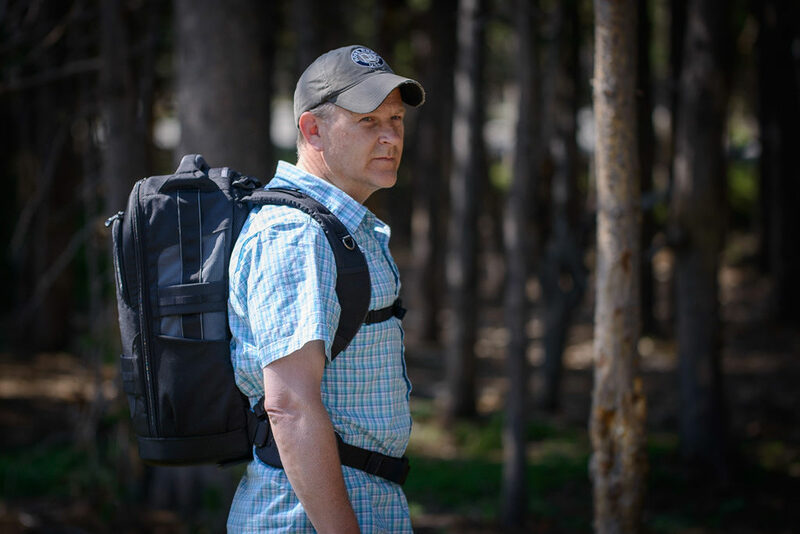 A tripod can be attached on either side of the bag which I find is much better than on the back of the bag where the tripod head and your head can all too often become acquainted in a bad way. 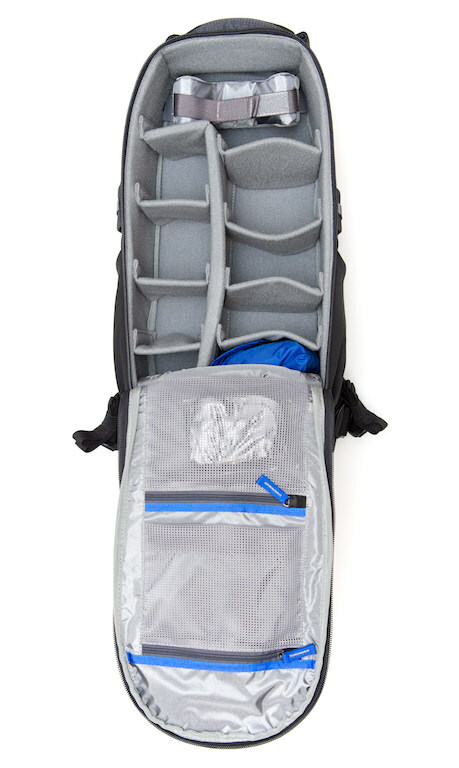 The Limo comes with plenty of dividers in case you want to use it for a kit with smaller lenses, flash, etc. 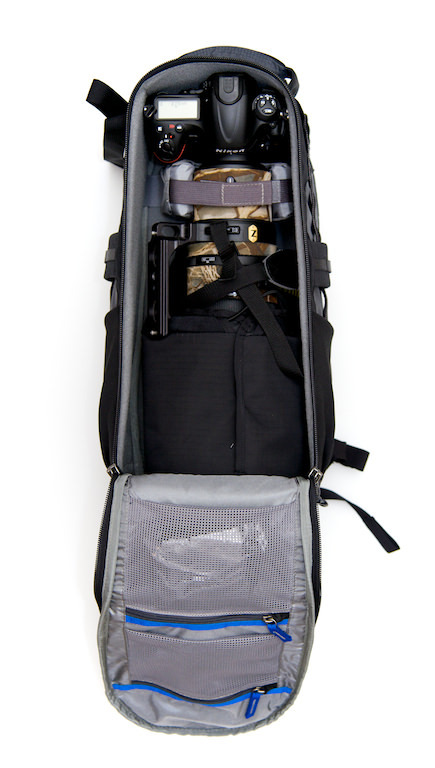 This backpack was built for longer lenses, but it is nice that the dividers come with the bag for the times you wish to use it for other gear. 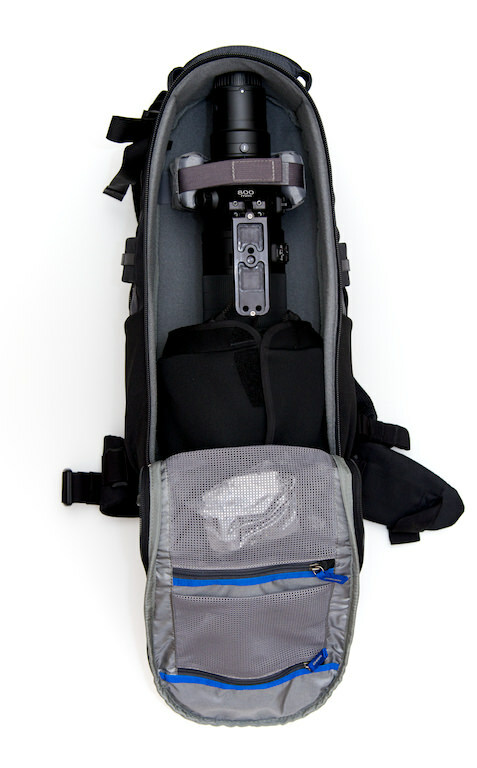 This bag is literally just an inch away from being a fantastic bag for a 500mm lens with a pro body attached. I love everything about this bag except the length. 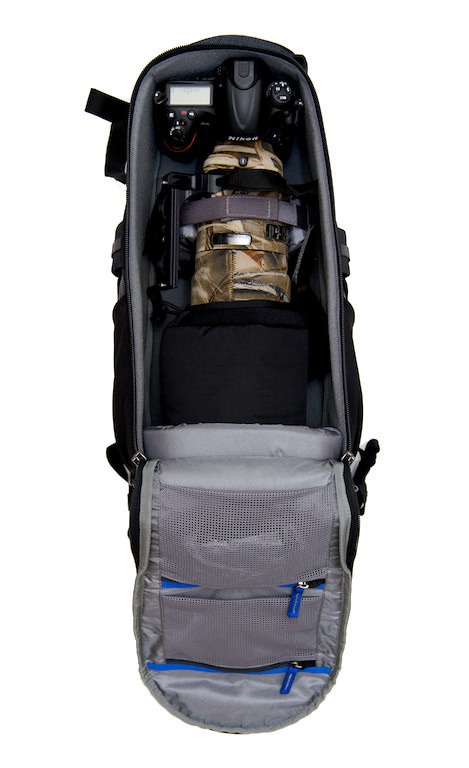 Hopefully, Think Tank will listen and make a v2.0 of this bag with that extra inch. In the meantime, this is a perfect pack for the 300mm f/2.8, since it can be mounted on the pro body and have the lens hood in place – ready to shoot! The Think Tank Glass Limo is available at major retailers like B&H Photo Video and Adorama for $195.75. You can also purchase it directly from Think Tank Photo. You are right about being this bag a 100% match for the 300 2.8 even mounted with a tc. The only problem i have is that when using it for smaller lenses the dividers let loose when a space is unoccupied and above it lies a 70-200 which sacks down because of this. Maybe i could use the dividers double as there are plenty of them. I’m guessing the bag was designed around the Canon 500mm+ body as it seem s to fit that fine. This bag fits my canon 500 II and 5dsr with 1.4 tc attached. I use an aqua tech travel hood, silicon lens cover and rrs L bracket. So far so good. 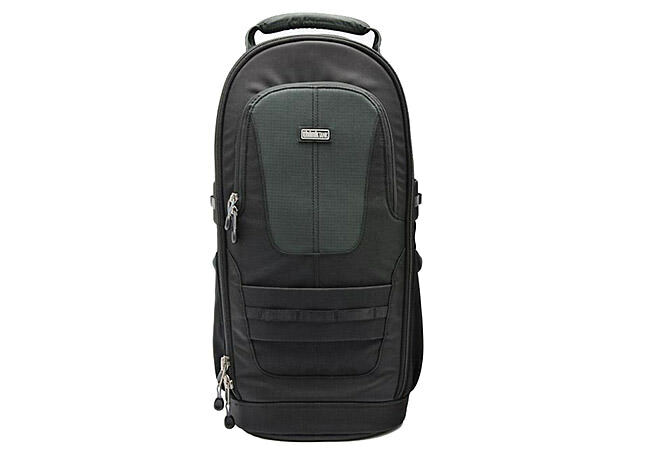 You may like to try out Lowepro Lens Trekker 600 AW II Backpack. It fits the 500 mm lens along with a camera body and the lens hood attached. If not this, then what (ideally think tank) is the ideal backpack if you want to travel with a D500 with 200-500mm attached ?